Afshine Emrani (Tarzana) - Book Appointment Online! 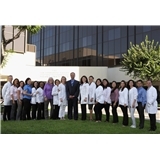 At Los Angeles Heart Specialists, you will learn more about your health in one visit than you ever thought possible. Our comprehensive health evaluation enables you to make health and lifestyle decisions that will support your long-term wellness. Through preventive care and early diagnosis, we can help you address any undetected health issues—and give you the peace of mind that can only come with a thorough picture of your health. We thank you for your valued patronage and deeply appreciate the referral of your family and friends. I went in for an ear infection. Everyone in his staff were extremely friendly and Dr. Emrani had a wonderful bedside manner which I think is very refreshing. I would highly recommend him.